HighPressureHoses are available in Sizes from ¼”to 8” suitable for -250º c to 700º c temperature’s corrugated hoses are available with inner core ss 304, 321 or 316l material with single or double ss wire over braiding. Highly durable and highly flexible with the right level of retract ability they are very popular amongst clients. We offer high pressure Hoses which are widely used in elevators, industrial machinery & equipment, trolleys & trailers, heavy earth moving machinery, tractors, and all hydraulic controlled systems. It has wide operating temperature range -60° c to 250º c sizes available is 3/16”to 1" in Poly tetra fluoro ethylene plain and 3/8”to 3” Poly tetra fluoro ethylene corrugated. 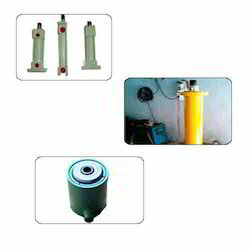 We are manufacturing Hydraulic Cylinders for various applications. Our equipments and design facility includes cad/cam system to ensure products of top quality. We manufacture standard range to cylinders upto 250mm bore for 250 bar working pressure with stroke upto 3,500mm, used in machine tools, mobile equipments and general engineering industries. In addition to our standard range we manufacture custom built cylinders for higher working pressure and stoke application special cylinder required for critical applications in atomic, hydro and thermal power plants and defense. Our Hydraulic Jacks has a range of models from light weight low height, light weight plain ram and light weight threaded ram. These jacks are an excellent choice for maintenance, positioning bending, pressing and production application. Ideal for a wide range of applications at construction sites, mills, railway workshops, power plants and industrial maintenance. We offer superior quality, easy to operate and efficient HydraulicPowerPacks which are used for SPMs and scissor lifts. 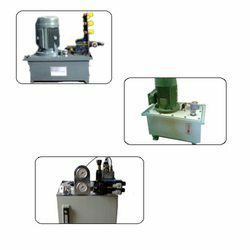 Our range power packs features that make this hydraulic power pack highly appreciable are its safety operation, long life and low electricity consumption and they can be used in various types of motors, pumps and tanks. These are available in different sizes and shapes according of the specifications the clients and at cost effective prices. 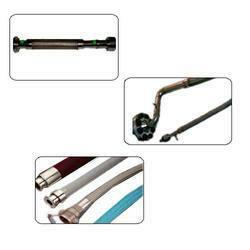 These hydraulic power packs are designed to be user friendly, cost effective, reliable, and durable. 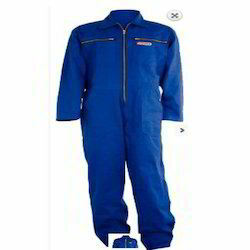 Looking for Safety Hydraulic Equipments ?